When nine-year-old Louis Drax inexplicably reawakens from the dead after his latest life-threatening accident, he becomes the patient of celebrated neurologist Dr. Allan Pascal (Jamie Dornan), who specialises in chid psychology. Determined to uncover the truth of Louis’ bizarre existence, Pascal is drawn into both the child’s life and that of his fragile mother Natalie (Sarah Gadon), whose affections begin to cloud his judgements. 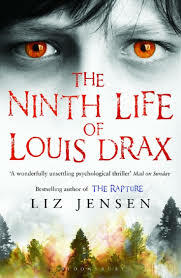 While Louis recuperates in a comatose state, Pascal sets about putting the mysterious pieces of the Drax family together, the truths of which begin to test the boundaries of fantasy and reality.